In a world filled with people constantly using social media every day, SocialPilot allows you to automate your social media posts on multiple platforms, all in one place. 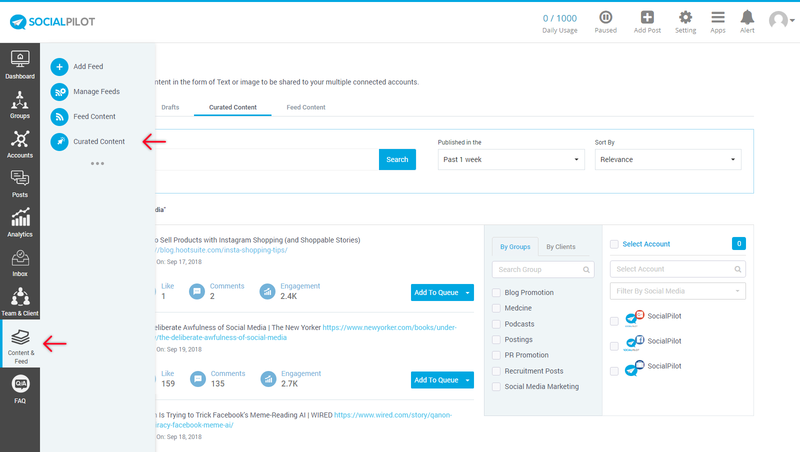 SocialPilot helps you plan, schedule, and publish your posts using advanced features, saving you time so you can build your brand more efficiently. This Getting Started guide will help you set up your SocialPilot account. You are just 9 easy steps away from a better way to manage your social media. Open your SocialPilot account in another tab and follow along. 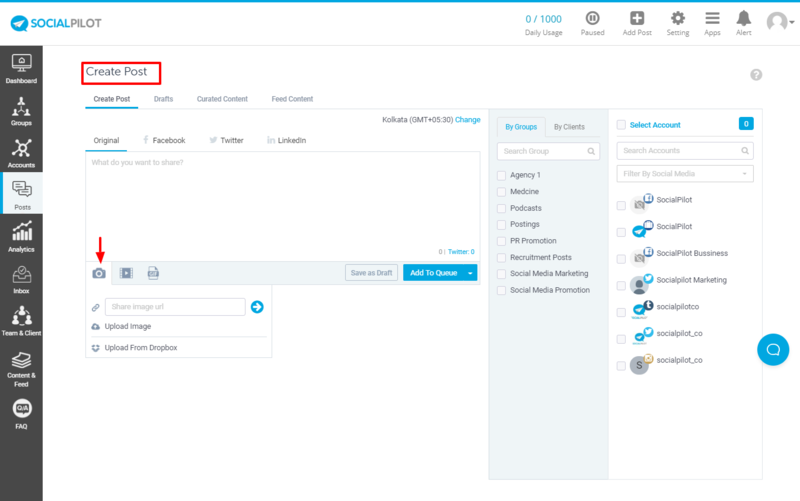 The first step to using SocialPilot is to connect your social media profiles to SocialPilot so that you can manage your accounts. Click Accounts -> Connect Account to connect one of these profiles listed below. Once you click on the connect button, you will be redirected to the social media platform and be asked for authorization. Kindly accept all permissions to continue. Once your accounts have been connected to SocialPilot, scheduled publishing is managed through the creation of posting schedules. Posts added to your queue will be automatically scheduled during the next available time slot according to the posting schedule you have set up. Click Accounts -> Manage Accounts -> Select the Social Account you want to define time slots for and start defining time slots. Your posting schedule is now ready. SocialPilot schedules and publishes to your connected social media profiles. Posts can be made to individual social media accounts, or to multiple accounts all at once. To create a new post click Posts -> Create Post. If you have added a link in your post, you’ll see a preview of that post below. You can schedule it as it is, or if you want to share it as an Image post, just click on any image from the preview below and you can select up to 4 images per post. If you don’t want to use the image as fetched from the link, you can upload it from your computer or Dropbox. You can also upload videos from your computer and schedule them to appear on the supported social networks. Networks currently supporting videos include Facebook, Twitter, LinkedIn, and Google+. SocialPilot Publisher saves all of your posts as drafts, so you can come back and edit or use them later. It also allows you to add GIFs to your posts to make them more engaging. Click on the Add to Queue button when you are satisfied with your post This will add your post to the queue and schedule your post according to your previously established schedule for your social media accounts. Share Now - Will share your post immediately to the selected social accounts. Share Next- Will schedule your post after the first post in your queue for that selected account. Schedule Post- Will schedule your post according to a specific date & time. Repeat Post- Will schedule and repeat the same post on the specified times and dates for a selected number of times. If you are out of post ideas and want fresh new content to be posted to your social accounts, you can easily find a ready-to-post list of content suggestions under the Curated Content tab. You can search by keywords, domain names, author names, competitors, and more to find and curate the specific content you are looking for. Click Content & Feed from the side panel and select Curated Content. Enter a keyword related to your content, and you’ll have a list of suggested blogs right there on your SocialPilot account. Whether you have chosen to publish content now or scheduled it for later, you can view all of them in one quick glance with our Content Calendar. You can even drag and drop scheduled items on the calendar to reschedule them. Click Posts -> Calendar to view your social media content calendar. SocialPilot’s analytics helps you take a deep dive into your social media data. You can not only analyze the posts you make from SocialPilot, you can also analyze other posts made on your connected social media accounts. Shareable reports are also available at no extra cost. One click and you have your easy-to-understand analytics report at your fingertips. Click analytics and select which social platform you want to view analytics for. To get a better understanding of social analytics and reports, click here. Never miss a deadline again by collaborating with your team using SocialPilot. Let them create content for your selected social media accounts, while you retain full control of post approvals. Click Team & Client -> Add Team Member. 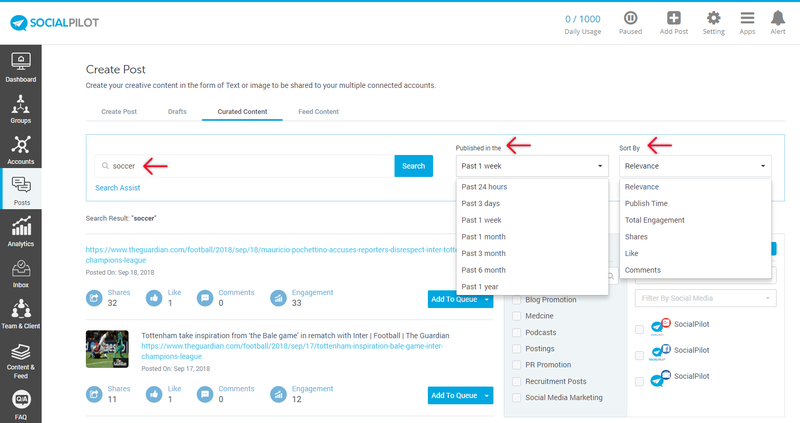 Content Schedulers can only schedule posts for selected social media accounts. The posts will be added to the queue only when a Manager or the Admin approves. 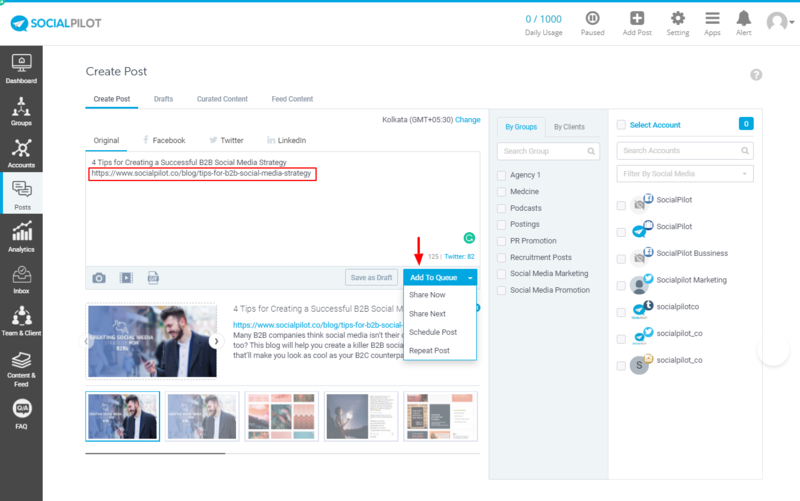 Managers can schedule, publish and manage selected social media accounts. You can change the role of a team member at any time by clicking on 'Manage Members' and then selecting the edit icon beside the team member’s name. Tackle your social media on-the-go with the intuitive SocialPilot mobile app so you can make every minute count with your audience. From connecting your social media accounts to scheduling new content, SocialPilot’s mobile app allows you to do almost everything the full web version can do while on the go. Get the iOS or Android mobile app right away! You can make your posting easier with the 'SocialPilot Browser Extension'. Add posts to your queue without leaving the website/content you are surfing with the help of our amazing extension. We have Chrome, Firefox and Safari extensions available for immediate download. Once your post is created and queued, you can continue surfing, all without leaving your current web page. You can manage your clients' social media profiles hassle-free without the need for their credentials. 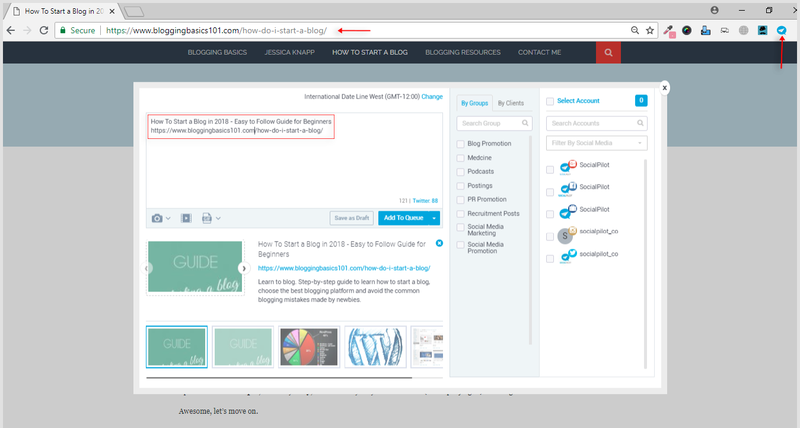 Share your blog posts automatically or manually to your connected social profiles by adding your blog’s RSS Feed into your SocialPilot account. 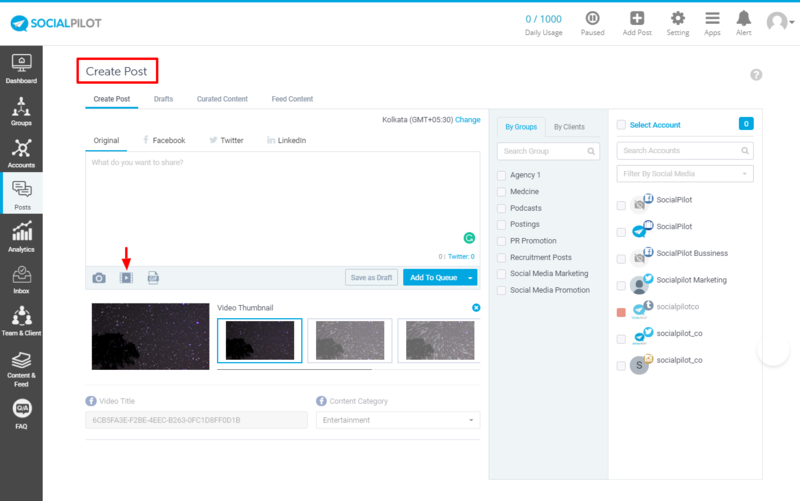 If you want to create and share content over the same set of social media accounts regularly, and you don’t want to select the accounts individually each time, you can create groups of accounts to easily queue posts with a single click. Reply to and manage all messages, posts, and comments on all your Facebook Pages - in one place. Awesome, you are all set now! Welcome to SocialPilot, the future of social media management!